yugioh abringed pics from Rinbow NOT MINE. pics from rinbows blog THESE ARE NOT MINE!!!!!. Wallpaper and background images in the Yugioh The Abridged Series club. This Yugioh The Abridged Series photo contains anime, komik, manga, and kartun. 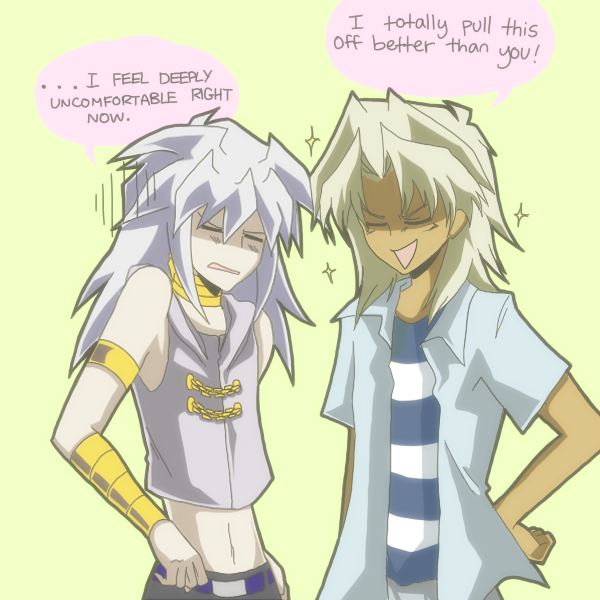 I ageree with marik. 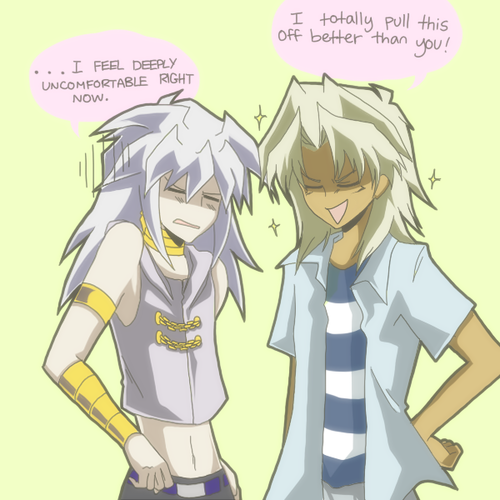 But Bakura does look really good in that! !